AOTA APP interactive streaming course with LIVECHAT. This intermediate llearning level course presents an anatomical and biomechanical basis for various rehabilitation programs and strategies used in elbow rehabilitation. 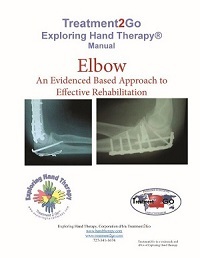 Learn how to treat fractures, tendonitis, neurological disorders and more. This is a comprehensive intermediate program on elbow management - a course you won't want to miss. Live Chat available. Must pass (80%) online exam to redeem your AOTA APP certificate. Instructional Method: Online Streaming. Online streaming good for 365 days from date of purchase.